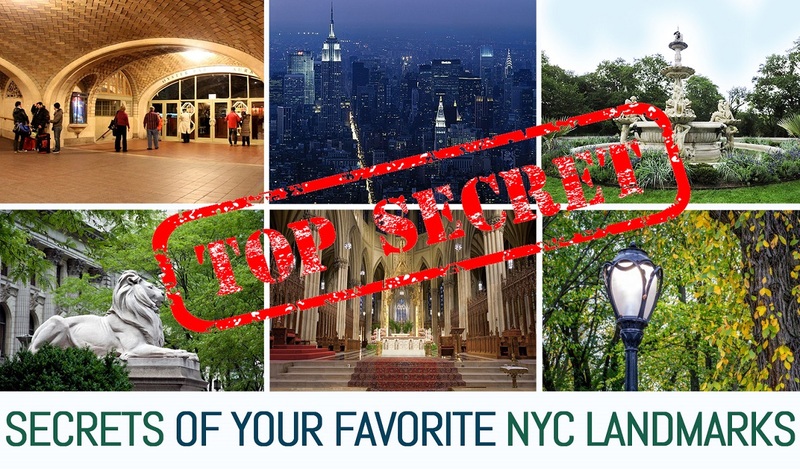 Sure, pretty much everyone living in New York City is familiar with Grand Central Station, Central Park and some of our other more notable landmarks, but these well-known locations still hold secrets that even born-and-bred New Yorkers may be surprised to learn. We’ve gathered together just a few to get you started, but in a city this size, with a history this long, there are many more that await your discovery. How many of these secrets were you aware of? The New York Public Library: Oh, Give Me a Home…..
Just as the proposed $300 million renovation for the magnificent Beaux-Arts building at Fifth Avenue and 42nd Street has not been without its share of discord, there was also some controversy at the time of the library’s original construction. Patience and Fortitude, the famous marble African lions standing guard at the main entrance, weren’t particularly popular when they first arrived; Teddy Roosevelt wanted buffalo statues instead. 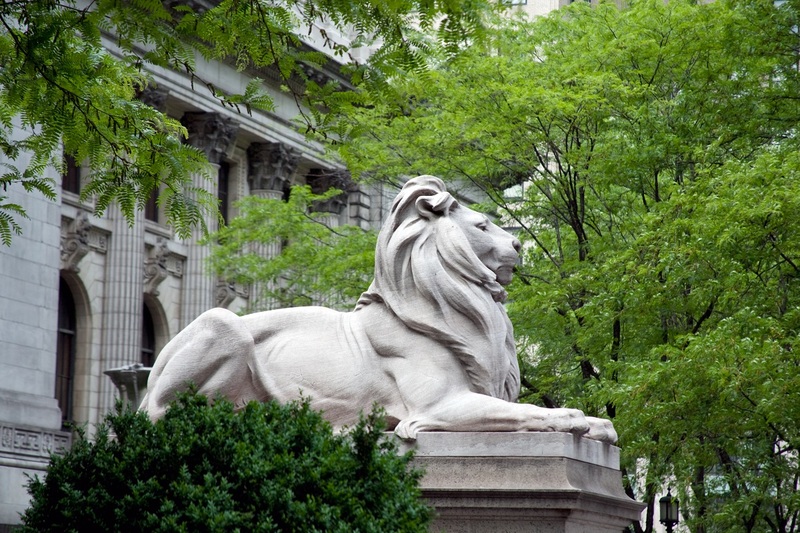 But the lions prevailed – and were unveiled in 1911 at the library’s dedication ceremony. Grand Central Station: Can You Hear Me Now? A whisper is something you’d most likely associate with the aforementioned New York Public Library, not one of the busiest places in all of New York City. But rest assured we’ve got a doozy of a secret for you in a spot you’ve possibly passed through dozens and dozens of times. 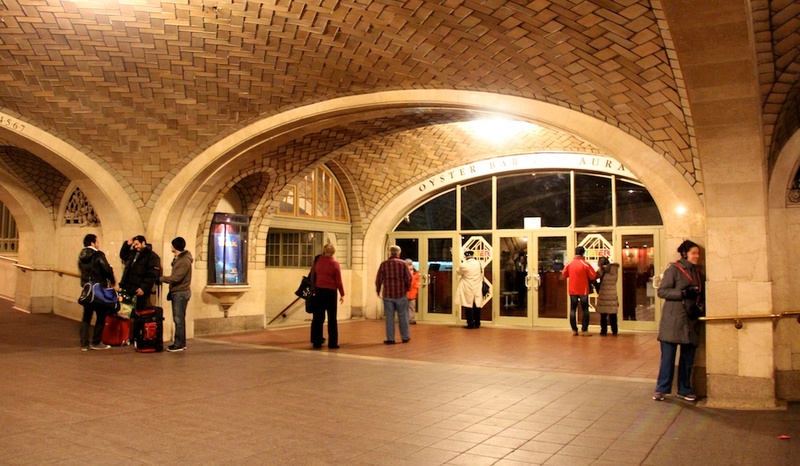 Most commonly referred to as the Whispering Gallery or Whispering Walls, an area on the way down to the lower concourse, right in front of the Oyster Bar where four Guastavino-tiled archways converge, is the home of a pretty cool sound effect. You’ll need a friend to check this one out; you each need to stand at opposite ends of the underpass (one of the arches) and face the wall. If one of you speaks into the wall in a normal volume the other will hear what was said with surprising clarity–even though you are about 30 feet apart and in the middle of GCT’s typical hustle and bustle. No one is sure if it was designed that way intentionally, but it’s definitely something to try the next time you’re passing through the terminal. 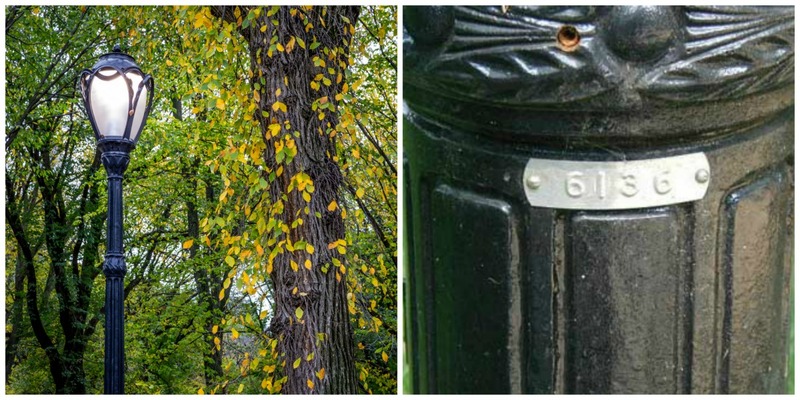 Central Park: Is a Hidden GPS an Oxymoron? Who wouldn’t want to get lost in Central Park, with its winding pathways, lovely bridges, stunning gardens and of course that wonderful lake? It’s no wonder it’s the most visited urban park in the United States. With all those visitors someone is bound to take a wrong turn every now and again. If that someone happens to be you, then rest assured this next secret will come in handy: The park has a built-in GPS–of sorts. Simply make your way to one of its 1,600 lamp posts and you will find a secret code that will set you in the right direction. According to Roadtrippers.com, “on each post there are four numbers, which are indicators for the street nearest the post and whether you’re on the east side or west side. The first two numbers are the street and the second set of numbers will either be even or odd (even numbers indicate east, and odd numbers indicate west).” For those of you who need a little more detail, the city has been adding metal plaques that provide the name of the cross streets as well, though we prefer the less obvious DaVinci code method. Last month the city council weighed an energy-saving bill aimed at reducing the city’s environmental footprint by requiring commercial buildings to limit internal and external light use when empty at night. 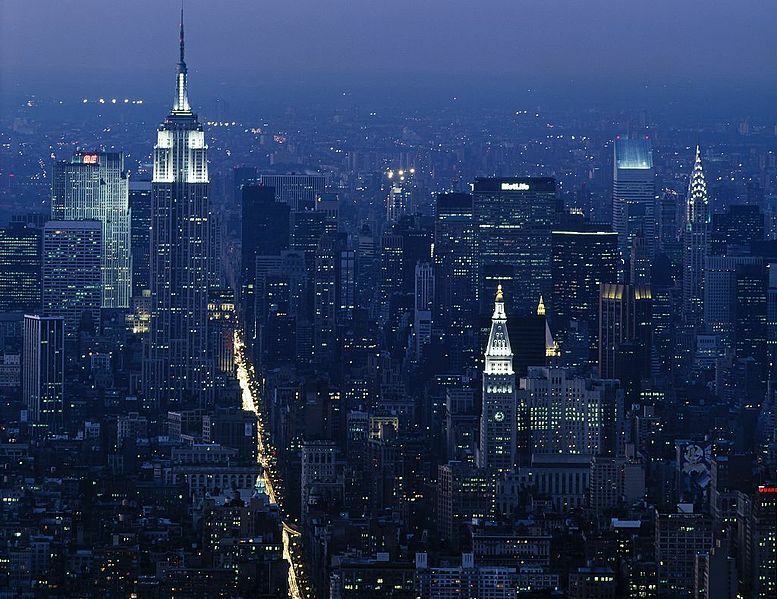 While it remains to be seen whether the measure will be put into effect, many skyscrapers like the Empire State Building have been turning off their lights for years, not to save energy but to save birds. New York City Audubon is behind the dimming, which occurs at midnight during migration season to prevent birds from crashing into the buildings. The Audubon executive director told Untapped, “The birds are drawn in by the glow of the city and are unable to see the miles of concrete and glass stretching into the sky.” Believe it or not, about 90,000 birds were killed in this manner during the course of only two migration seasons. Italian artists and sculptors like Michelangelo, da Vinci, and Botticelli have produced some of the world’s greatest artistic treasures–but a lesser-known sculptor unintentionally wound up giving the Bronx Zoo one of its own, the Rockefeller Fountain. 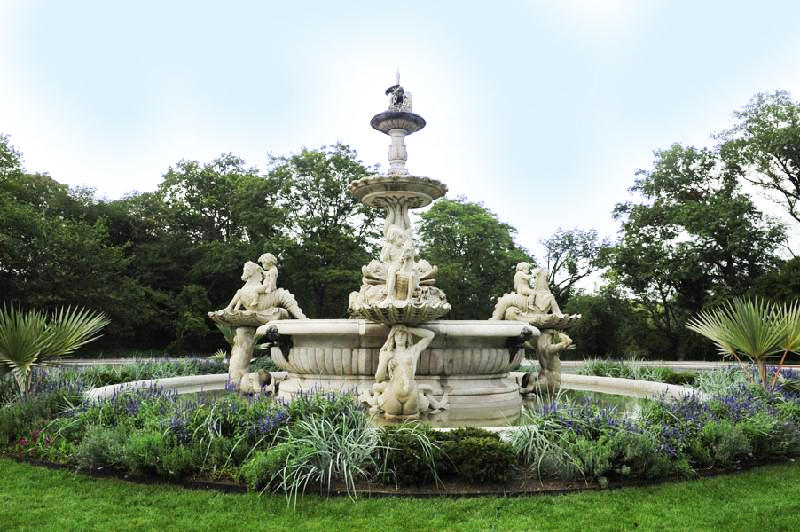 Each year hundreds of thousands of visitors admire the beautiful three-tiered marble fountain, decorated with sea horses, dolphins, caryatids, mermaids, mermen and a swan. And the reason they are able to do so? Italians found the fountain, which was built by Biagio Catella in 1872 and originally stood in the Piazza Cavour in Como, Italy, unappealing. Truth be told, pretty much everyone there hated it. So off it went to a salvage yard until William Rockefeller rescued it in 1902 and graciously donated it to the zoo. Declared a landmark in 1968, the fountain now presides gloriously over the center of the Bronx Zoo’s Rainey Gate Concourse. One of the most recognizable buildings in the city, its tall spires and ornate façade have recently been restored to their original magnificence. And the inside is just as breathtaking. But beneath all that splendor you will find eerily beautiful crypts–enclosed tombs made with brick and cement that bear the remains of prominent industry leaders from the 18th and 19th centuries such as General Thomas Eckert, Pierre Toussaint and Countess Annie Leary. 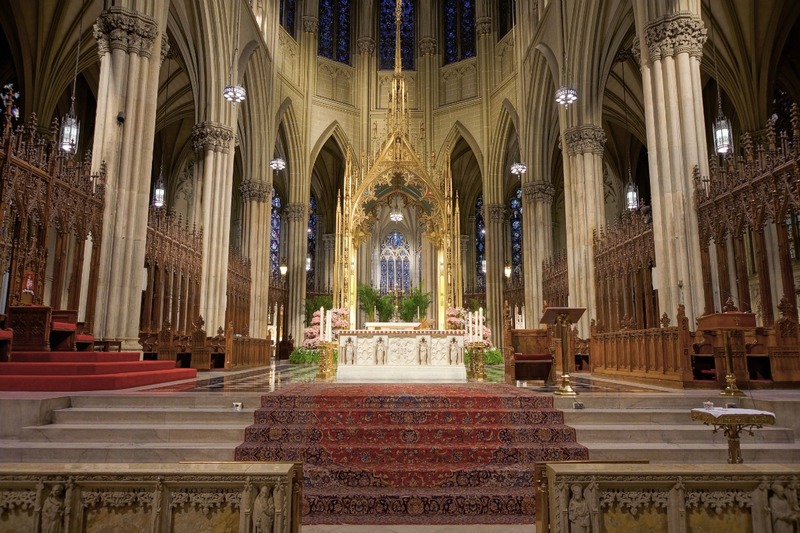 In addition, the Archbishops of New York are buried in a crypt under the high altar and their honorary hats, called galeros, hang from the ceiling over their tombs. We know the city of eight million stories has many more secrets in its midst. We’d love to hear some of your favorites…..about the city and places within it, that is…share them in the comments!